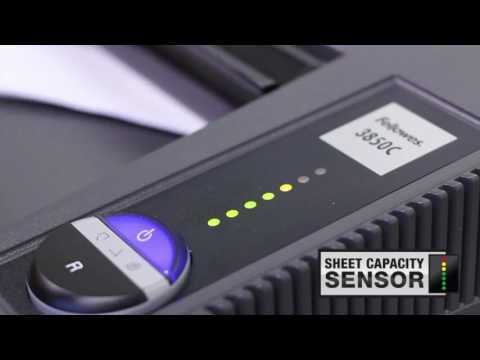 The new Fellowes Fortishred 1050HS is a single user Din Level P-7 high security shredder that features an electronically controlled shield that stops the shredder when opened for advanced safety. It also has an automatic shut-off feature where the machine will power-off after 30 minutes of inactivity for zero energy consumption. The Fortishred 1050hs will shred A4 and A5 pieces of paper into tiny 0.8x5 particles and requires no cool down time meaning the shredder can be used continuously. A 35 litre pull out bin makes this perfect for a single user high security scenario. The use of a P-7 shredder such as the Fortishred 1050HS will aid your GDPR compliance.